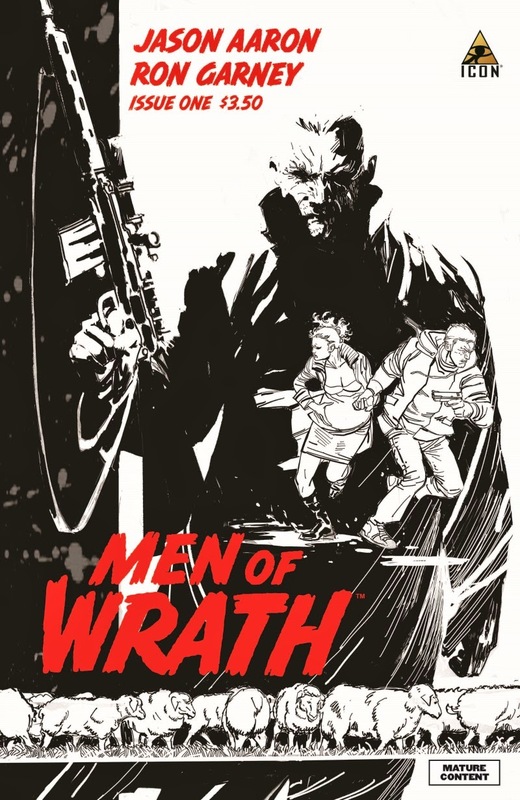 Men of Wrath deals with the idea that one event can affect the family for generations to come. It all started when Isom Rath, protecting his family and land from an irrational man trying to take what Rath never took. Some sheep wandered onto Rath’s land, followed a couple of days later by a farmer claiming that Rath stole his sheep. In the resulting confrontation Rath killed the man. This one event would change the paths of all of the men of the rath family for generations to come. The story then jumps forward to the great grandson of Isom, Ira Rath. Ira Rath is a heartless hitman for anyone with enough money. Ira is introduced to the reader as he is killing a couple, and even more disturbing, their baby. After disposing of the bodies in a swamp Ira pays a visit to the doctor where he is informed that he is dying of lung cancer, even though he hasn’t smoked a day in his life. And Ira apparently believes that he is dying because of the sins of himself and his family before him. And before the end of the issue it is made clear that the Rath “curse” has continued on past Ira. Jason Aaron is dead on with his writing like always. This series has all of the earmarks of what makes the best Aaron books stand out. Aaron writes Ira so it clear that he is a horrible person, but you can’t help but hope that he can find some atonement before he dies. Even though he is completely unapologetic about what he does. Then you read the essay in the back and you find out that this book is loosely based on his family history and it drives home how great this book can be. Ron Garney is on the top of his game here. Garney doesn’t do regular work anymore, and that makes it that much sweeter when when he does pop up to do a run on a book. He makes all of the characters come to life, flaws and all. There is a gritty edge to his art that I haven’t seen from Garney before. But this gritty turn works wonders for this book. This series came out of nowhere. I had heard nothing about it till I saw it on the shelf. But I am glad that I stumbled onto this series. All of the individual components add up to make a beautiful piece of work. I really look forward to reading more of this as it comes out. Thanks again for reading my reviews. I hope it helps you to find a series that you will enjoy. As always if you have any questions or comments feel free to leave them in the comment section. And keep on reading fellows comics fans.